1. Who is the new Cuban President and how was he elected? 2. 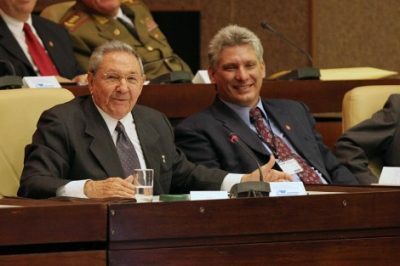 Why are Cuban presidential elections indirect? 3. Have Fidel Castro and Raúl Castro led the country since 1959? 4. Can one speak of democratic elections when there is but a single party? 5. What is the composition of the new Cuban Parliament? Ph.D in Iberian and Latin American Studies at the University of Paris IV-Sorbonne, Salim Lamrani is a lecturer at the University of La Réunion, and a journalist specializing in relations between Cuba and the United States.